1. 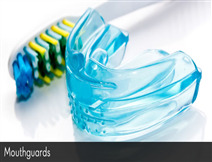 They prevent the tongue, lips and cheeks from being cut againstthe sharp edges of the maxillary teeth. 2. They decrease the risk of injury to the anterior maxillaryteeth by about 90%. 3. They reduce the risk of damage to the posterior teeth of eitherjaw following a blow delivered to the inferior aspect of the mandible whichcauses traumatic closure of the mandible to occur. Such an impact can causecusp fractures and tooth infractions. 4. They decrease the risk of jaw fractures by absorbing the energyof a traumatic blow to the chin. 5. They lessen the risk ofconcussion occurring subsequent to an impact to the mandible from either infront or below because full posterior translation of the condyles is prevented,reducing the level of force transmitted from the condyles to the base of theskull. 6. They improve the confidence of players. Athletes concentratetheir efforts on the execution of their sport.